How To Shape Your Eyebrows Around Your Unique Features! This guide shows you how to shape your eyebrows in a process similar to that of a sculptor’s. First you identify what you kind of brow you want to create. Then chip your way to your perfect eyebrows by getting rid of the excess hair you don’t need.This can be temporary or permanent. Here’s the thing about your brows. They’re the single most expressive part of your face. What they say about you is important for first impressions. When you see a man with bushy, low eyebrows, what is the first thing you think? What about a woman with full dark groomed brows? Now what about thin, drawn on triangle eyebrows? If you have over plucked and sparse eyebrows, the are a few ways in which you can try to make them grow. Your eyebrow shape can take on several directions. This depends on the combination of your face shape and the size of your features. There are so many different face shapes out there, it would be difficult to list them all. So you will narrow it down to one of the 5 different shapes we use to generalize. Work out which one or two mostly resembles your face. Then you will be able to make your own decision about the type of arch to go for. You’ll often find that you already have the basic shape you need. The guide just shows you how to shape your eyebrows in a way way that will affect your specific eye shape the most. So what you don’t want to do, is to dramatically change your natural eyebrow shape. This will need a lot of maintenance, and end up looking out of place. Rather work to just enhance what you already have. Your facial features- like the size of your ears, nose and mouth, will determine the thickness of your lashes. You need to complement and frame your face with the corresponding eyebrows. So someone with a thin mouth, petite little nose and ears, will do better with thinner (not pencil thin), than with bushy, overpowering Einstein brows! Sometimes, even the brow shaping ladies may have no clue...So it helps to arm yourself with the right information beforehand. You can also use brow stencils to create your shape. This is if you don't trust yourself enough to do it freehand. Something else to look into if you're planning on it, is eyebrow tinting. When it comes to eyebrow tinting, I would agree completely with the professionals. It’s best to have them do it for you. Now that you know how to shape your eyebrows into the most complementary frame, you’re going to trim the excess hair. This can be done using different methods. They all differ in price, pain, and permanence! The most effective short term eyebrow shaping methods are tweezing, threading, or waxing. Shaving the hair off is not really worth a mention. This is because shaving your eyebrows daily is a tedious exercise unworthy of your time! It has a lot of room for error, without the clean results you’ll get from more efficient methods. On the flipside, it’s also the easiest to do. It’s the most common and convenient eyebrow shaping method to use at home. You just buy a pair of good tweezers, and pluck away! Without getting lost in the plucking away part... It’s just so therapeutic! With tweezers, you can take out multiple hairs at a time, or just one. This makes them a good option for maintaining a shape after waxing or threading( When only one or two hairs have outgrown the others). Did I mention also not knowing when to stop? Here’s a tutorial showing how to shape your eyebrows with tweezers. 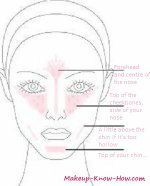 When using the guide, do keep you best eyebrow shape in mind. Typically, tweezed eyebrows last from about a week to three weeks, depending on your hair growth patterns. This is a technique that uses a twisted cotton thread to uproot the hairs. It’s more efficient than tweezing. This is because all the hairs are taken from the root, without any breakages. With tweezing you might pull the hair, but have it break instead of coming right out. Threading also takes out the really tiny hairs that you can’t really get with a pair of tweezers. For this reason, the results from threading last a little longer. The skin is also left a lot more clean and clear, as if there was never hair there to begin with! Threading at home will cost much less in cash than it would when done by a professional. What it will cost you though, is time. Then there’s the regret if you do it wrong! This involves using wax strips to pull the hair out… The results are as good as a threading treatment because the hair is uprooted. One thing to be careful of when shaping eyebrows is irritation! Before plucking hair, make sure your skin is clean. Then you don’t have dead skin and product just waiting to get in and clog those pores. So after you use these techniques, dab on some sort of anti inflammatory cream like aloe vera or tea tree. You can even use your man’s aftershave if it doesn’t have alcohol. Just like with shaving your legs and bikini, you need to prevent inflammation. Otherwise the benefits of your perfect brows will be overridden by those really nasty bumps around them! Say you've tried other hair removal methods. Then decided that you have found your perfect eyebrow shape that you want to keep forever! You can remove the excess fuzz for longer periods of time. This can save you the time it takes to maintain your brow shape on a weekly or daily basis. Two options are electrolysis, and laser hair removal. Electrolysis is the best option for permanent eyebrow hair removal. A needle is used to treat the individual hairs. The ability of the follicles to produce hair is basically zapped. This is the only technique approved as ‘permanent’ by the FDA. To complete the treatment, you’ll need money(The equivalent of about $40-45), and between 30-60 minutes per treatment. This will be for around 18 treatments. This concentration of light destroys the hair from the roots. The treatment is faster and cheaper than electrolysis, but has a few drawbacks. Firstly, it’s not as ‘permanent’ as the word would suggest. It reduces the hair growth by up to 80%, but doesn’t eliminate the ability of the hair follicles to produce hair. So some hair will most likely grow back. Although It will be finer and lighter… Most people do report that the hair doesn’t grow back after a good number(about 12) of treatments. Secondly, Laser hair removal is not recommended by professionals for the eyebrow area. There is a chance that the light may rather be attracted to your lashes, iris, or pupil if not handled by a real pro. So yes, you can’t do laser because you’re BlackJ. So we caramel and chocolate ladies have to cross laser off as an option(for now) for safety. And yes, you can’t do laser because you’re blonde. The laser is ineffective on light hair because it doesn’t have much color in it. There are companies that are working hard to make laser effective for everyone, so this pigment problem is likely to be solved in the near future. If you do go for laser, it’s about 15 minutes for roughly 5 treatments every month. This will cost you around $30 per treatment. Then the results will differ depending on your hair growth patterns. The last step in the eyebrow shaping process is to fill them in. This gives the shape a lot more polish. They will then look picture perfect. Begin by lining the top and bottom of the brows. Do this in a brown pencil suitable for your skin.There are a few shades of brown to choose from. Then fill in any patches in between with lash-like strokes. You can also use brow powder to fill them in using a brow brush. Use a firmer brush to blend all the color. Fill and brush little by little. You will then have a strong brow that pulls your facial profile together.